Welcome ot the Route 66 Car Museum, the thrilling 20,000 square foot 'car history' museum located in Springfield, Mo (about 45 minutes north of Branson). 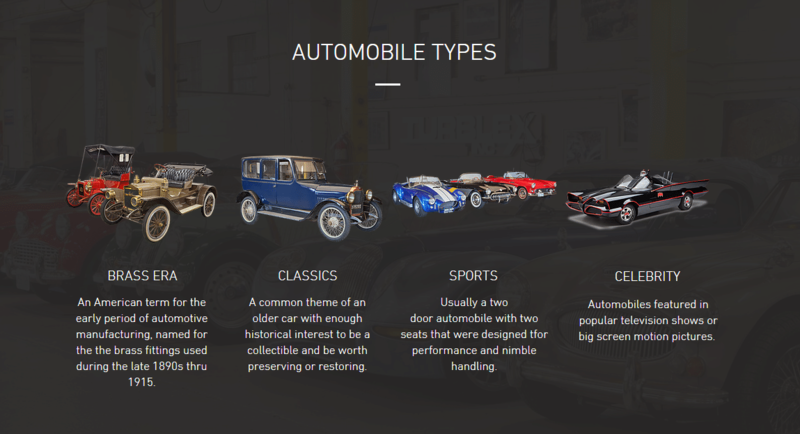 Featuring over 80 cars spanning from 1907 to today, this place is a car lover's paradise. See everything from early brass era vehicles to cinematic stars such as the Gotham Roadster and famed 'Grapes of Wrath' truck. You can take a peek at the highly unique 1936 Horch, one of only 50 produced, or perhaps the classic 1926 Kissel Brougham. Fans of newer cars will love the 7 Jaguars and 2 Rolls Royces inside, as well. Be sure to check out the Gift Shop before you go and pick up your Rt 66 classic car souvenir!